Scott Boyar, CPA PLLC. not only sees your tax picture, they see the bigger picture. You will receive timely, accurate tax consultation and return preparation whether you are looking for convenience in preparing a simple tax return or advice on sophisticated tax planning. 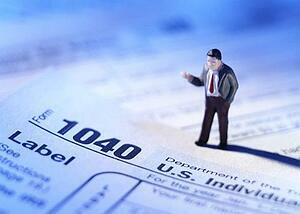 We can prepare your federal and state tax returns accurately and provide timely suggestions on minimizing your taxes. We believe that comprehensive and timely tax planning is the key to lower taxes for individuals. Check out our Personal Tax Preparation Resources here. Check out our Business Tax Preparation Resources here. We are an authorized E-File provider through the IRS. We can electronically file (e-File) your federal and state tax returns instantly and securely.